Learn more about the health benefits of chia seeds, a powerful superfood that has been shown to promote weight loss, strengthen bones and reduce inflammation. 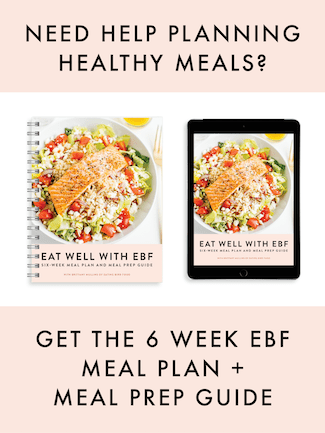 As many long-time EBF readers know, I LOVE eating chia seeds and think they are awesome. My sister texted me a few nights ago asking for more info about them, which made me realize I needed to write a full post on why I’m so obsessed. If you’re in the health and wellness space you’ve probably heard of chia seeds and know that they’re good for you, but maybe you don’t know why or how much you should be eating. So let’s get right into it. Ch-ch-ch-chia! <– I had to do it! Yes, these tiny seeds are the same seeds used to grow those chia pets that were popular in the 80s-90s. Yes, you can still plant them and make yourself a little chia pet. The flavor is very mild and almost non-existent. When they are combined with liquid they start to form a gel-like consistency, so if you were to eat them plain the gelling process will start in your mouth… not really ideal. They’re much better mixed in things like smoothies or oatmeal. Omega 3 fatty acids – Omega 3 and Omega 6 fatty acids are essential fatty acids, meaning that you need to get from food sources because your body cannot produce them itself. Omega 3’s reduce inflammation and may help lower risk of chronic diseases such as heart disease, cancer, and arthritis. They’re also said to help with weight reduction related to their regulation of blood sugar levels and insulin. Plant-based protein – We all know protein is an essential macronutrient needed for many functions in the body, including muscle building. Antioxidants – Anti-oxidants help rid our body of free radicals, which have been linked to cancer and heart disease. Fiber – Helps with weight loss by keeping you feeling full, prevents constipation and enhances regularity. Magnesium and Potassium – Two minerals needed for good health. How much chia should I eat daily? For general purposes of health, nutrition and energy an adult would typically consume about 1-2 tbsp of chia seeds daily. Where do you buy chia seeds? I’ve found them at my local health food store (Ellwood Thompson’s) and at Whole Foods. They are becoming mainstream so most grocery stores now carry them. Check in the natural food section, in the bulk bins or with the supplements. Typically I try to buy chia seeds from the bulk bins because that’s where they are the cheapest but I’ll order them online occasionally as well. Make chia gel! Chia absorbs 9 times its weight in water, which is the reason behind the 9:1 ratio most people talk about. For thicker or thinner gel, you can adjust the ratio accordingly. 1/3 cup of chia seeds would absorb 3 cups of water, but for a thinner gel that absorbs faster you could also do 1/3 cup of chia seeds to 2 cups of water or other liquid. You simply mix together the chia seeds and water. Let the mixture stand for 30 minutes, stirring with a whisk to prevent clumping. The gel can be stored in the fridge for two weeks and used as a thickener in soups and smoothies, as a egg replacement in baked goods or a binder in bean patties or meat loafs. Chia seeds are great for vegan cooking! Drink them! Add chia seeds to water, juice or any other hot/cold drink. Leave them in the liquid for about two minutes before drinking so they absorb some of the liquid. Sprinkle them on anything and everything you’d like! So I’ve been using these chia seeds as I normally would by adding them to smoothies, oatmeal, yogurt, overnight oats, granola bars and baked goods (like these protein bars). I love the little bit of crunch that they add, as well as the thick gel like consistency that forms when they’re combined with liquid. Chia seeds are much easier to use than flax seeds because you don’t have to grind them to make the “gel” or absorb the nutrients. Have you tried chia seeds? What are your thoughts? I love the texture that chia seeds adds. They remind me so much of Poppy seeds which I’ve always loved. great refresher on chia seeds! I love putting them in smoothies or making chia pudding! I take a jar (a large brown spice jar I bought at a co-op) of chia seeds with me on travels, so I can add it to juice or water. Thanks for this great post! I actually purchased a container of chia seeds over a year ago and am not sure if I should get rid of them or not. I want to start eating them again but I’m not sure how to tell if they’ve gone bad. I love the texture of chia’s! I have just started eating them though. THis was a great post! very helpful! I am sending it to my mom who has soo many questions about them 🙂 thanks! I’ve yet to try chia seeds, but I know I need to. I’m always looking for ways to get more Omega-3s! I used to eat flaxseeds until I hear that unless you bit on the seeds while eating them, they basically just get swallowed whole and go through your system. I now buy ground flax to get the full benefits. My initial thought on the chia seed is the same. Except for maybe using it in a granola bar you bite into. In the oats or smoothie the seed is mostly just going to get swallowed and basically go in your body and come right out. There is also a “chia meal”….. it’s harder to find tho…. I love chia seeds. I started eating them for the health benefits, but grew to love the texture they add to things. I buy them on Amazon super cheap. Love chia seeds. I’ve yet to make the chia seed pudding. It always looks so good though I need to try it out soon! Can’t open this link. The server cannot be found. I, too, love chia seeds. I’ve only used them in yogurt, oatmeal and granola, so these ideas are fantastic! I’ll definitely put them to use soon! I never took the time to figure out what the gel is used for, so versatile! perfect timing! i recently started blending my own smoothies every morning before work & i’ve noticed that many of the smoothie recipes i come across online include chia seeds. i was just telling the bf this morning i should look up why they’re so popular and here it is! 🙂 thanks for sharing..
also, Holly @ RUST BELT RUNNER poses an interesting question. what *is* the ans to that? Chia seeds go great in overnight oatmeal, but I also love them sprinkled in hummus and even on a PB&J sandwich – they give it an extra kick. Thank you for this post! I’ve been meaning to try chia seeds, but I wasn’t exactly sure what they were or how to try them. Now I know! These are totally next on my list of things to get along with some maca. I’m trying to ease into all the “add in’s” I buy because there are so many I want to try! Thank you for such a detailed post on what they are! I carry them around with me ( along with teabags, protein powder and almonds) in a little packets in my handbag- incase of emergency!!! I’ve been wanting to try out chia seeds for ages now, so after reading this blog I think I will definitely go and buy some! Is there a difference between having the seeds and having the powder? I have a big bag of Chia seeds, unopened, in my pantry! I’ve just been totally clueless about how to use them! This post totally helps! I haven’t had chi-chi-chi-chiaaaaa seeds in so long! You inspired me with this post, I made a lunchtime stop at Whole Foods and guess what I grabbed outta the bulk bins 🙂 Yay! Oh, let me know if you are around this weekend and want to meetup maybe grab some lunch/dinner or something! Funny story… co-worker eats chia seeds a lot. One day she went into her bathroom and had a chia plant growing out of her sink. A seed must have gotten stuck in the drain after she brushed her teeth or something. She said she just about peed in her pants when she saw the plant. 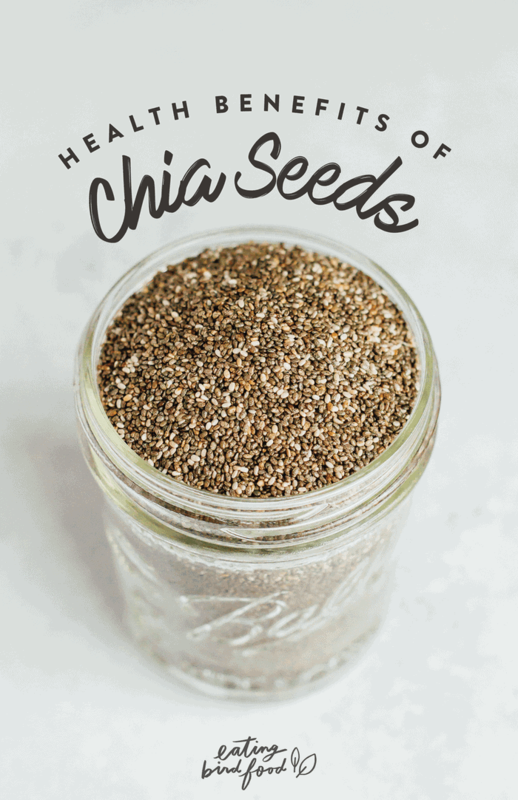 I remember the first time I heard about chia a few years ago I thought “what, like the pet? !” and couldn’t fathom eating it. But I love chia seeds! Melissa, did you know that you can grind them up? It works really well, actually. Also, as the seeds absorb the fluid, the swell and get very soft, so they’re not like the seeds in your jam. They’re too good for you to pass up, with so much to offer. Back in the day (1966-1970) is was great fun to get someone to eat a tablespoon of chia seeds and watch them try to get the seeds out of there dentition.. I recently tried Chia seeds since I heard all this hype about them, but I’m having a hard time getting past the “sliminess” of them.. The texture most people love about them frankly creeps me out a little.. I may try them in baking instead! Chia seeds can also be an excellent source of calcium! I ran out of chia several months ago…I need to stock up! Great post! I love chia seeds! I use them in smoothies, overnight oats and to make chia pudding. Question though, as for calories you mention there are about 60 calories in a tbsp (and that is what I find online too). However, the chia seeds I have say there are 70 calories in 2 tbsp http://www.navitasnaturals.com/products/chia/chia-seeds.html any idea why there is such a difference?? That’s a really good question. I would email Navitas and ask. 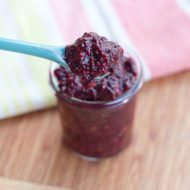 I just came across your blog and got sucked in 🙂 I have chia seeds but never quite knew what to do with them. This helps so much… now I have a few ideas. I have already had them with oatmeal, but am anxious to try some other variations! Hmm….I’ve heard of chia seeds but haven’t really tried them. But looking at your pictures and recipes, I’m kinda tempted to try them out. Chia seeds are great – I would love to consume them more often, but alas, they aren’t cheap. I’ve never seen them in bulk here, so that’s probably why I think they are on the pricier side 😉 But they are a fun addition to anyone’s diet, that’s for sure. I love that my health food store has a “bulk bin” of them. Score! I must confess that the description of the seeds forming a gel consistency keeps me far from them. I can’t get past that and wish I could because they sure do have a lot going for them. PS – Can’t wait to see you again in TWO WEEKS! I know!! I’m so excited for HLS!! Great post! I really need to eat more chia seeds! Another timely post! When I couldn’t find hemp seeds at the store last weekend, I almost bought chia seeds… are they a good protein-rich alternative to hemp seeds?? I can’t find hemp in my tiny town but chia seeds are weirdly abundant. Help! Your post is so thorough and the pudding looks delish! i love chia seeds! especially chia pudding..its so yummy! You know, as much as there is going around about chia seeds and how great they are, this is the first time I actually have read about them! Thanks for the info, I am going to have to try them now! This pudding looks and sounds delicious! 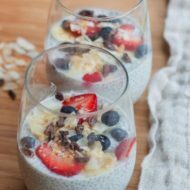 I love any sort of pudding with a consistency like rice or tapioca pudding so I have a feeling I would love your recipe, and what a great way to introduce chia :)! I get in my daily dose of chia in the morning. I’ll add it to smoothies (though don’t let them sit too long, or you’ve got ‘smoothie pudding”! ), make a cereal with chia, hemp seeds and home-germinated buckwheat (you can buy a commercial version of this, but it’s so easy to make at home), I also will cook up some amaranth or oatmeal or quinoa with extra water, then turn off the heat and stir in some chia seeds to absorb the extra water. I had some chia seeds in my fridge from reading about them somewhere else. Your post inspired me to eat them again! I’ve used them the past 2 mornings in overnight oatmeal. I’m glad to know what else you can use them for too – smoothies, etc. Yep, so much easier than flax seeds (which I also have in the fridge put don’t get used as much as they should because of having to grind them). I just found your blog and have enjoyed reading for the past few days. The “Nutiva” website has chia seeds for a reasonable price, as well as hemp seed, coconut oil, hemp oil, etc. I’ve been eating chia seeds for years now; initially, when they were ‘new’ to us here in the US, the only place I could get them was on a subscription service, delivered monthly, and they were expensive. When they started becoming popular, I could get them for less and in more places. However, from that early experience, I was taught that the white chia seeds are far superior to the dark ones, in all their important constituent levels (protein, omega-3’s, etc). So all this time, I’ve always made sure I bought the white ones (actually beige color), and I’ve always ground them up. I keep them in the freezer till ready to add to my protein/fiber/anti-oxidant mix, made in large batches but which is then ground up in small batches that I keep in the frij and use up in a week or so. When I use the mix, I add liquid coconut oil (2.5 oz) as the last ingredient and blend it in my Magic Bullet (the best thing I’ve ever used for this). I also add an ounce of apple cider vinegar (the real thing, unpasteurized/unflitered), for all its health benefits. There are many ingredients, including hemp protein, whey protein, beet powder, cocoa, stevia, xylitol, flax seeds, brewers yeast, cinnamon, psyllium, and spirulina. I’m considering lowering the coconut oil amount and replacing it with hemp oil. When I blend it up, I also add vitamin C crystals, a raw egg, a mixture of Acai, Blueberry, & Pomegranate juices and Chyawanprash, all of this mixed in with the apple cider vinegar and kept in the frij for easy use. The base is a high quality protein drink in chocolate. The resulting drink is thick and rich, and lasts me most of the day, till dinner time. I have used some variation of this recipe for several years now, and very rarely skip it. The coconut oil has detoxed my fatty areas, so that the appearance of cellulite is much reduced. My skin is very clear and I have no thyroid issues (although I started using Thyroid Nascent Iodine last year and it has dramatically reduced my hair loss, initially suggesting that I may have been hyprothyroid, but I don’t think so now. We just don’t get the necessary amounts of the right kind of iodine in our diets any more, and it is important for so many reasons, not the least of which is supporting the thyroid gland so that it is able to continue optimal function and produce adequate thyroid hormone). That’s another thing; I have also recently added unrefined sea salt (Redman’s for now) to my smoothie each day, for thyroid support and to assist in the detox pathways. For more thyroid info, google Dr. David Brownstein; he has authored very informative books on this subject and is currently one of the most informed source on thyroid issues (of which there are few, as this has been a much-neglected area of allopathic medicine, and the most commonly used test to detect it is next to worthless), and is educating many doctors and health care practitioners about hypothyroidism, thyroid issues, and the importance of biologic iodine in the human body. I love chia! My favorite quick breakfast is to take sprouted chia gel (1 tablespoon organic chia seeds in 8 ounces of water, let it sit at room temp for 24 hours) and 1 scoop Sun Warrior rice protein (I like the vanilla flavor) and mix with enough water to make it drinkable. It gives me plenty of energy until lunchtime. Sprouting the chia seeds before consumption, as with other seeds, increases their nutrient content and ORAC value exponentially. Give it a shot! Love the recipe! I am so excited to try chia seeds now! Have you ever made it without the oats? I don’t eat much in the way of grains (sensitive to gluten). You can totally make them without the oats! Bob’s Red Mill Gluten Free Oats. Found at Fruitful Yield! Whey protein powder would definitely work! Great idea and recipe – thanks so much for sharing. And, lovely photo. Will def. make this soon and let you know what i think. Question – the oats are just added raw, right? Tx! Thanks Angel! Yes, the oats are raw. I’m still using Chia seeds every morning in my mix, but you CAN teach an old dog a new trick, and I am letting them sprout overnight now and not grinding them up. They’re fine that way, and I also have been using the dark seeds as well as the light ones. The other evening, I discovered another way to use them; I needed something light to eat before going to bed, so I took a couple spoons of the sprouted seeds and mixed them into a small cup of applesauce, and a spoonful of plain cinnamon (no sweetener needed), and mixed it up well; it was delicious! So I fixed up the rest of the applesauce the same way and put it back in the frig for later. It’s great, and not ‘seedy’ at all. I love it. I just love this spoon that I’ve seen in many of your pictures and I was wondering where you got it. Wondering where you got those spoons? A certain girl I know would love them. I got the spoon from Crate and Barrel. Thanks! Looks like my girlfriend Kellie beat me to it! I tried this recipe today, using vanilla soymilk and a little coconut milk from Silk……and it tastes great! My mind is still trying to get around the “crunch” from the chia seeds in the middle of gooey goodness, but it still tastes good. Thank you for this recipe! Yay. So glad you liked it Christina! 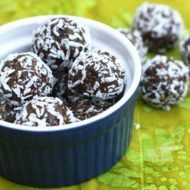 I absolutely love this recipe… I only discovered this blog last week while looking for other things to do with my chia seeds besides drinking them. There is so many things I want to try… Thanks for the recipe. are chia seeds to sprout the same thing as chia seeds to grind? I would love to incorporate chia seeds into baked goods, but I’m not quite sure how…can I just take a recipe and add chia seeds, or do you have to alter the recipe otherwise? Do you have any favorites? Does chia seeds help with weight loss? They might. I saw on the Dr. OZ show how they may help with weight loss. Since they thicken up and form a gel – if taken before meals with a glass full of water, it with thicken up and you’ll feel fuller faster when eating. Just bought some! Can’t wait to try this supper food! just found your post. Very interesting looking forward to trying your pudding. you can buy Chia seeds at COSTCO now – cheapest I’ve found. Great blog btw! Only at SOME Costco locations; after reading this one, I went to my Tucson location and asked about it; was told that they are not being offered in this region (So.AZ & San Diego area). He also said that it would be in a cycle of rotation with other such items, wherever it’s being offered at Costco, and therefore, would not be available continuously. Those who shop regularly at Costco are accustomed to various items being offered on a rotating basis. SO, if you DO see it at your Costco, grab the opportunity and buy enough to last awhile, so you won’t run out before it’s available there again. which is better white chia seeds or the black one? can i have chia just on its own? This is made with the Nutribullet but if you don’t have one you can soak the Chia seeds into a semi gel and use a coffee bean grinder to grind up the almonds although they may not “blend” into the “smoothie” and then blend the rest in your blender with 2/3 cup of water and 1 leaf of Kale. Just discovered your blog (I was googling ACV and you came up) and I am really enjoying your entries! Actually I can really relate to your story. Anyway, thanks for your blog and keep it up! No one answered the question weather this can help in weight loss? See the article in February 11th Women’s World. It has an article in it about weight loss using Chia. 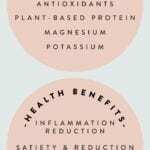 I am yet to try chia seeds but having recently tried quinoa I am on a mission to find healthy alternatives and your recipes have convinced me I need to try chia! I have them on my shopping list – I find the jam recipe intriguing so that’ll be my first thing to attempt – and hopefully convince my 6 year old to try it. BTW I only came across your blog by chance – loving it! I’m researching the book “The Aztek Diet” where the main super-food is CHIA Seeds. This Diet was featured on Dr. Oz’s show several weeks ago. My question to you is, have you seen any significant weight loss since you introduced chia into your diet? I tried the chia pudding recipe today and it was delicious. I only had regular vanilla almond milk (not unsweetened) so I decided to leave out the stevia. It was really good. Thank you for the recipe. BTW, I really love your website and will definitely try more of your recipes, you have inspired me. I’ve never heard of chia seeds before. They look very versatile so I think will add them to my breakfast oats are add to a fruit smoothie. I live in the UK so I’m not sire if there are any local suppliers. I better get looking! Just curious: do chia seeds still make the gel if they’re dried or roasted? I still haven’t tried them but one time in their dry form. I guess I could sprinkle them on salads. I may go ahead and try adding them to my kale smoothies. Thanks for the suggestions and I look forward to reading more from “Eating Bird Food” – Love the name! Yes. I eat 1-2 Tablespoons a day. Brittany, I completely agree. Chia seeds are a huge help to keeping healthy. I generally mix 1-2 tablespoons with water and a bit of fresh squeezed lemon. It makes for a good breakfast when I know I am going to be taxed for a long day. I bought some chia seeds today and have put them in some water to soak till tomorrow. I want to make a smoothie with blueberries and bananas. I can’t wait to enjoy it. Love your blog, don’t know how I got here but just love it. Thanks a million. I recently made Jello and added chia seeds to it after I had poured the liquid into dishes. Pretty much all of the seeds settled to the bottom. I’m thinking I should let the Jello setup a bit then add the seeds and stir. Any other suggestions as to how I could get my seeds to stay dispersed in the gelatin? Is this supposed to be one serving? I ask because you say 1-2 tbsp daily and this contains 1/4 cup. I put chia seeds on my toast with peanut butter and banana in the morning! So good! They’re also FANTASTIC in omelettes to help bind a little better. If you’re in Canada… Bulk Barn sells them (no, they’re not organic)… but a full container is only about $4.00! Amazing! I have found it incredibly easy to incorporate chia seeds into my diet. I sprinkle it on dry cereal, oatmeal, mashed potatoes, apple sauce, yogurt, etc. I have also been known to just “dip” a banana in a pile of seeds. WoW Thanks for the great information! 🙂 Makes me want to get the seeds at store right now! I drink chia seeds mixed with my homebrewed water kefir. Its a little fruity a little fizzy, and is packed with probiotics. Its the best drink and it keeps you filled up with all the great jelled seeds. Great start to the day! I didn’t see anyone had asked this yet, but I am trying to figure out how much chia pudding is safe to consume per day. You said 1-2Tbsp dry, but the recipe for the pudding uses 1/4 cup. Is it ok then to eat all the pudding in the recipe? I’m new to eating chia and made a big batch of pudding but don’t want to overdose on it the first day eating it! Any help would be greatly appreciated! Great article about chia seeds! I will include chia seeds into my diet! The recipe is for one serving? I’m a big consumer of chia and flax seed which I put through a spice grinder, together with some baking soda, salt and one packet of sweetener. I add this to one beaten egg white and water and stir it together to sit before adding whole oat flour, whole barley flour and buckwheat flour. I bake this ball of dough on my George Foreman grill for about eight minutes and end up with a flat “breadlike thing” which smells and tastes great with natural crunchy peanut butter. Makes a nourishing and very satisfying breakfast!